Peter A. Ravella and Tyler Buckingham welcome Howard Marlowe and Dan Ginolfi to the show from Washington D.C. to introduce ASPN's newest show, the Waterlog Podcast. Howard and Dan are experts in the realm of Federal coastal policy and help local governments from across the American shoreline understand and successfully navigate this complicated and confusing - yet critically important - universe. Subjects discussed: expectations for the lame duck period; the NFIP extension; what's on the WRDA radar; the 2019 Corps work plan and process; and, what we can expect to be covered in future episodes of the Waterlog Podcast. 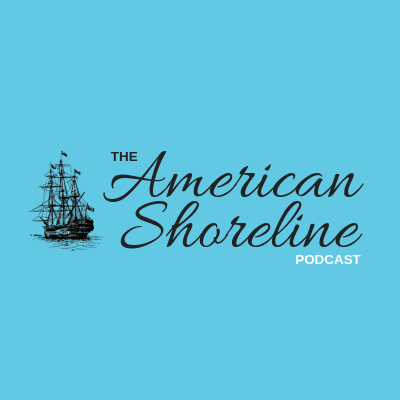 Peter and Tyler joined forces in 2015 and from the first meeting began discussing a project that would become Coastal News Today and the American Shoreline Podcast Network. At the time, Peter and Tyler were coastal consultants for Pete’s firm, PAR Consulting, LLC. In that role, they worked with coastal communities in Texas, Florida, and North Carolina, engaged in grant writing, coastal project development, shoreline erosion and land use planning, permitting, and financial planning for communities undertaking big beach restoration projects. Between and among their consulting tasks, they kept talking and kept building the idea of CNT & ASPN. In almost every arena they worked, public engagement played a central role. They spent thousands of hours talking with coastal stakeholders, like business owners, hotel operators, condo managers, watermen, property owners, enviros, surfers, and fishermen. They dived deep into the value, meaning, and responsibility for the American shoreline, segment-by-segment. Common threads emerged, themes were revealed, differences uncovered. There was a big conversation going on along the American shoreline! But, no place to have it. That's where CNT and ASPN were born.